The Courtyard Farm Trust owns 90 acres of grazing marshes on the coast at Holme-next-Sea, a few miles from the farm. 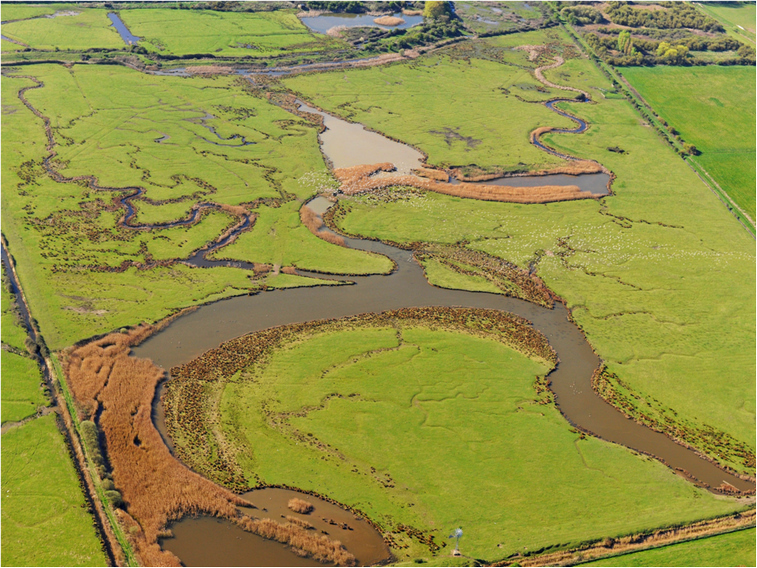 This marsh is particularly rich in bird-life, with large flocks of duck (particularly Widgeon) and Pinkfoot and Brent geese feeding on it in the winter; and Snipe, Lapwing, Redshank, Shellduck and other birds breeding in spring and summer. 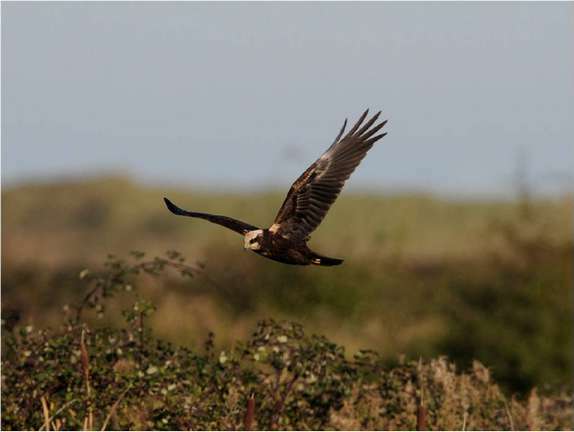 Marsh Harriers and other birds of prey frequent the marsh. The area is jointly managed by the Norfolk Wildlife Trust and Courtyard Farm to provide a sanctuary for wildlife, and public bird-watching hides have been provided, which can be accessed from Holme village. Natural England provides financial help through the Countryside Stewardship scheme, to support organic farming on the marsh, and to ensure that the marsh is left un-grazed in the spring to encourage breeding birds, and to cover the cost of cutting (rather than spraying) thistles and ragwort. 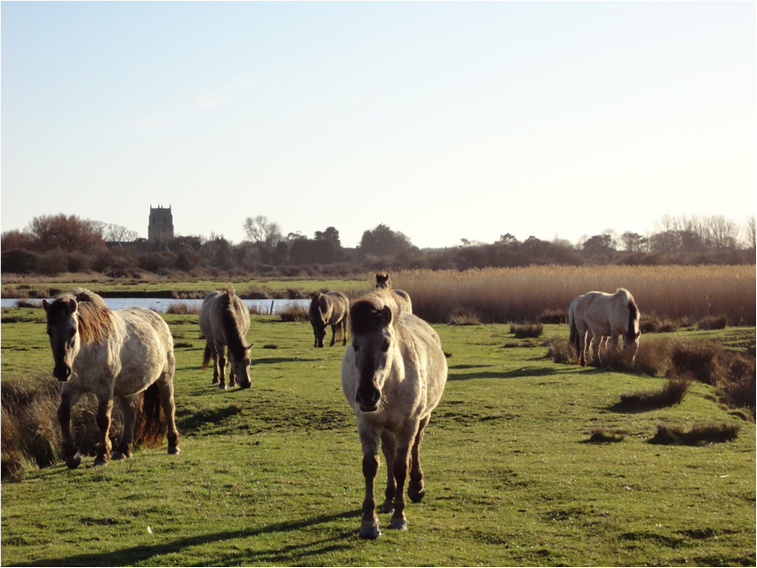 Part of the marsh is grazed by some of the Norfolk Wildlife Trust's wild horses (Koniks), originally from Poland, to keep vegetation in very wet areas under control (see below).